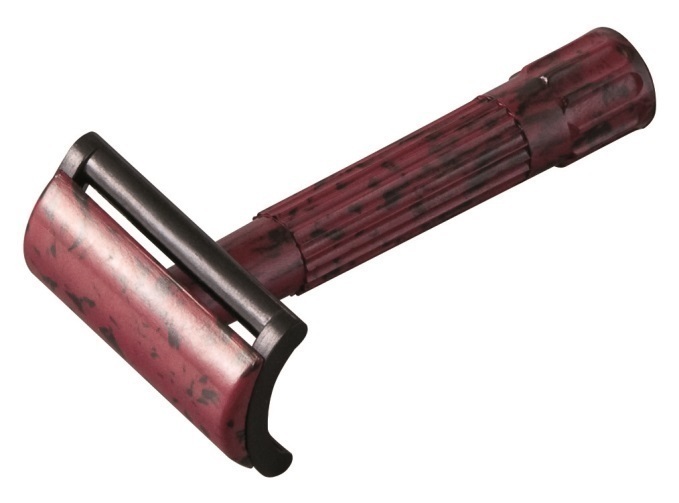 This Merkur double edge safety razor with a straight bar has a retro look and feel to it. Made of black and maroon dappled Bakelite which is light weight yet sturdy.Comes with plastic case which makes it great for travel. A pack of 10 Merkur blades included.